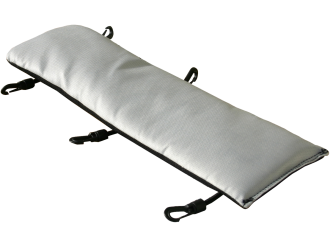 Luggage systems and side saddle bags regularly have serious drawbacks; they need rigid, usually unappealing mounting frames. 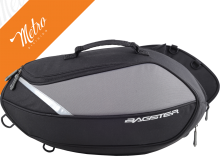 Bagster® luggage systems are much more flexible. 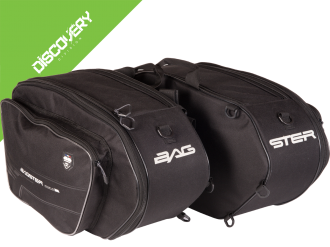 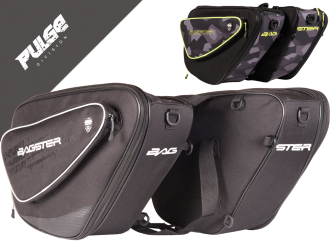 The saddle bags are connected to each other with two wide straps which hook and loop together underneath the rear seat and are secured with expanders. 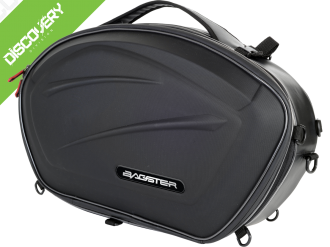 When not in use, there is nothing left behind, therefore the look of the bike is not interfered with. 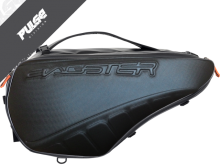 Case system (saddlebags) with 15 to 20..
Muffler pad for saddlebag CRUISE, SPOR..
sporty softase system (saddlebags) wit..
Case system (saddlebags) with 21 to 30..
Case system (saddlebags) with 25 to 35..